Ryan has been in the Bow Valley for 7 years now, trying his best to “live life like a rudderless ghost ship”. Michael and Jeff don’t let Ryan touch cars… so he stays in the office, which is probably best. 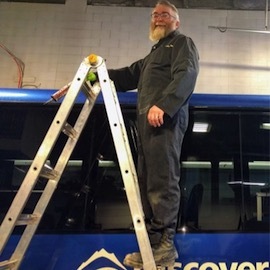 Michael has been in the Bow Valley for 18 years now, and a Mechanic for 35. A skilled mechanic at that, he’s lived his life on a few basic tenants – cars, coffee, beer… and sometimes skiing. 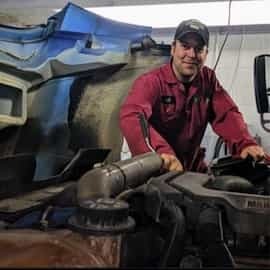 Jeff has been in the Bow Valley for 17 years, and brings extensive diesel repair experience to our shop. 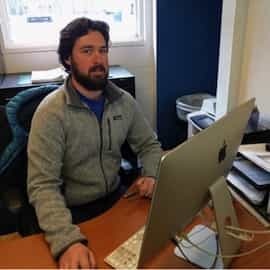 A mechanic for 6 years now, Jeff is also an avid camper and kayaker.